Ms. Mabel is a Basset Hound just full of regret. Reddit user nadroj’s mom is a high school librarian. 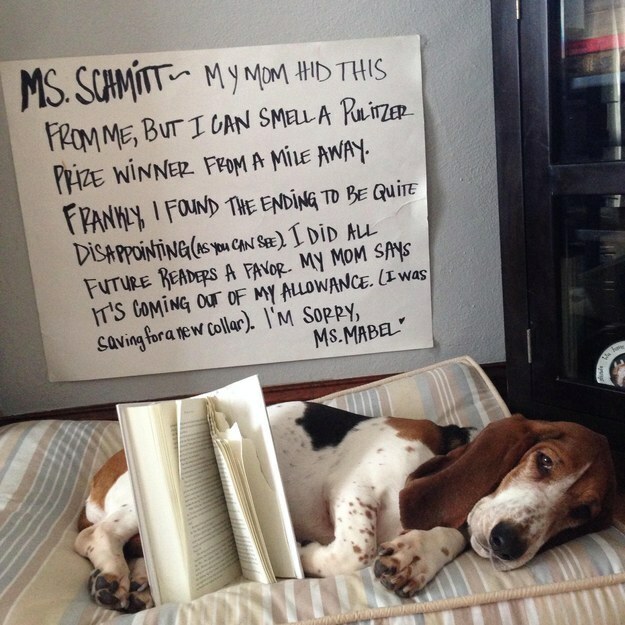 Recently, one of the secretaries brought a book home and her Basset Hound, Ms. Mabel, rather disagreed with her selection. Don’t fret, Ms. Mabel! No one can stay mad at such a cute dog for long.